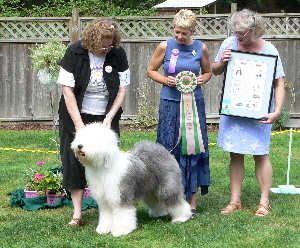 Crystal winning the OESCA Annual Match, being shown in the Group ring, and winning BOB at the Olympic Kennel Club show on the OESCGS Specialty weekend. 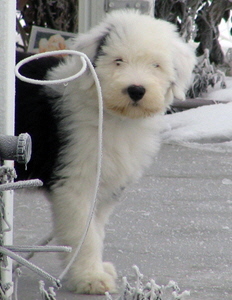 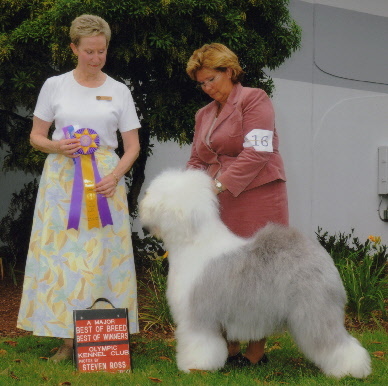 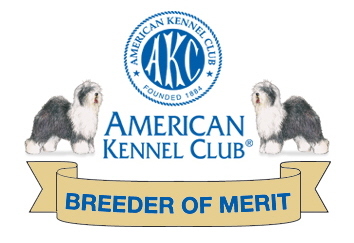 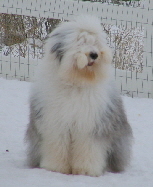 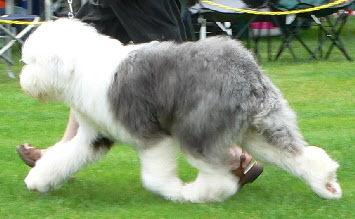 Crystal started her show career by winning Best In Match at the 2007 Old English Sheepdog CLub of America’s and the Old English Sheepdog Club of Greater Seattle’s Matches. 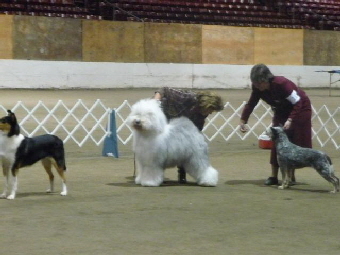 She finished her championship easily, with 3 Best of Breed wins from the classes, including the OESCGS show weekend, beating 4 Nationally ranked Specials from the Open class. 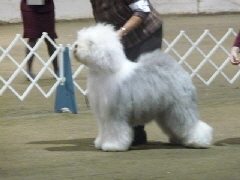 The judges consistently complimented her balanced, easy movement, along with her lovely, typy head and bone. 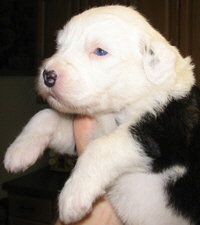 Crystal’s name is a play on words - She has a blue eye! 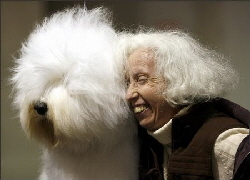 This picture was published in the Seattle Times of Crystal and one of her admirer’s at the Seattle Kennel Club Show.